Our heroes are exhausted and overwhelmed. Their lives have been taken over by their work keeping XANA at bay… wreaking a disastrous toll on their academics. Bad marks, summons to meet with the Headmaster, probation… Jeremy, Odd, Ulrich and Aelita need help and suggest once again to add William to the gang, but Yumi categorically refuses: he’s too much of a hothead! He would only put them all at risk!… Meanwhile, XANA goes on a particularly vicious attack. Our heroes are about to undergo a most trying adventure with a dramatic end. Will Yumi’s negative take on William finally change? Yet another test finished and marks handed back, with a surprise this time: Herb has managed to beat Jeremy. Ulrich achieves an F+, unsurprisingly! Yumi is asked to see the principal who sarcastically lectures her on her constant being absent or late to class. He then threatens her: if it happens one more time, she'll be expelled! The heroes are feeling a little down in the dumps. They meet in the lab. 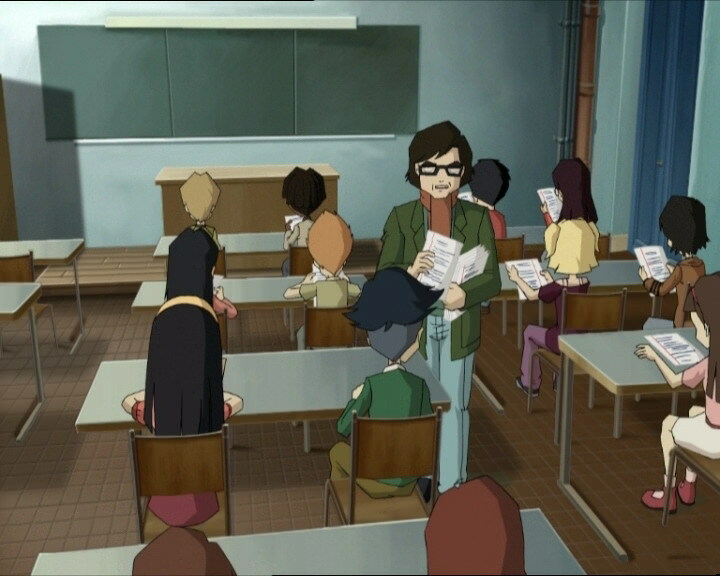 The situation couldn't get harder: working to defend Lyoko and fighting XANA while keeping up with their studies has become impossible! The question as two whether or not they should recruit a new Lyoko Warrior resurfaces. 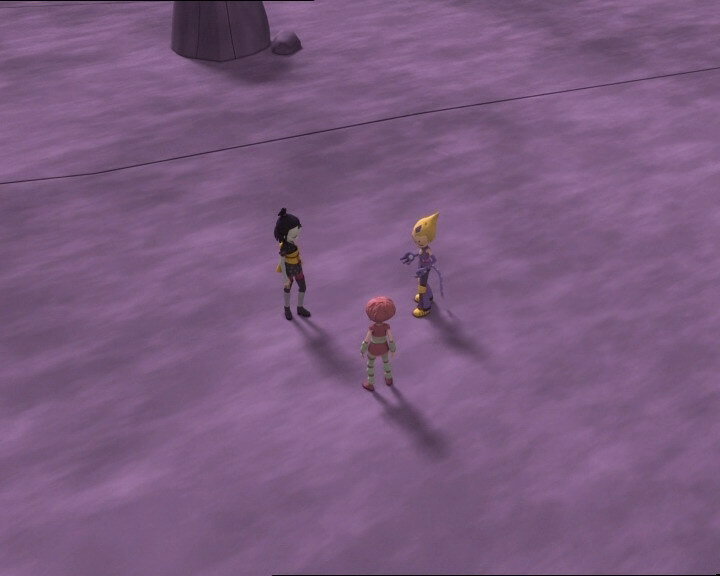 Aelita proposes again that they ask William, however Yumi is still strongly opposed. According to her, he's too much of a hothead! Seeing things are getting too heated, Jeremy sends his friends to get some well-earned rest. He stays the night in the lab to work on finding the direct access codes for Sector 5. He launches the verifications for the codes before falling asleep on his keyboard. His wake-up call isn't very pleasant, the Superscan's beeping resonating through the lab, a tower has been activated. The brainiac motions to warn his friends, but a worrying shadow approaches him! We find our heroes at the school. Jeremy tells Aelita to come with him to the factory because he's found the access codes for Sector 5. The student refuses, saying that they're not exactly pressed for time and that they have a test that morning! While the test is underway, Jeremy finishes incredibly fast and Ms Hertz asks him to take Odd, caught cheating red-handed, to the principal. Yumi is with William, in a darkroom developing photos in a class held by Jim. They enter the room and get ready to work. William then makes a surprising confession: he tells Yumi that he dreamt they were fighting together at an abandoned factory against a factory worker (in other words, the events of episode 59)! As they approach the principal's office, Odd and Jeremy squabble. What Odd doesn't know is that he's not in the company of the real Jeremy, but a polymorphic clone created by XANA! The brainiac was attacked by his double in the factory, who tried to drown him. Climbing out of the canal, the student rushes to the lab and calls Odd on his phone. The purple-clad boy then realises that the clone has the symbol of XANA in its eyes, but it shoots lightning at him before he can react. The monster goes back towards the factory to finish the job he started with Jeremy! The original doesn't see it coming and is thrown down the lift shaft. 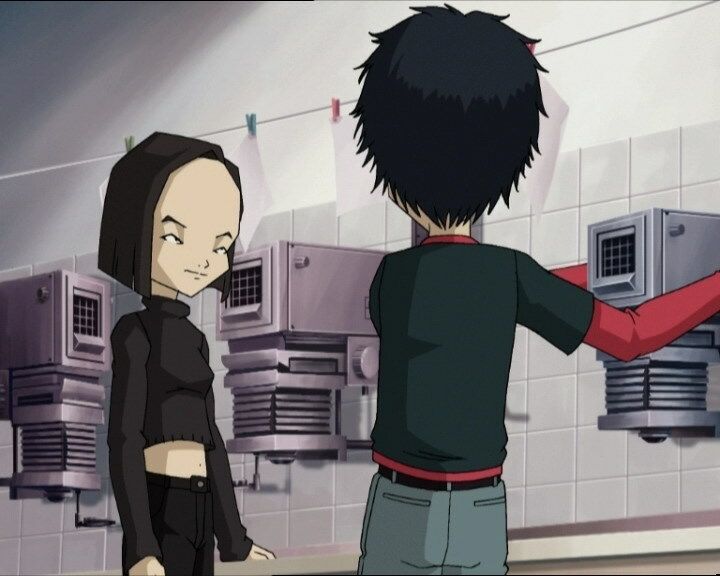 The clone then contacts Aelita, revealing that XANA has created a clone Jeremy (which is actually the one talking to her); they therefore need to go to Lyoko to deactivate the tower. 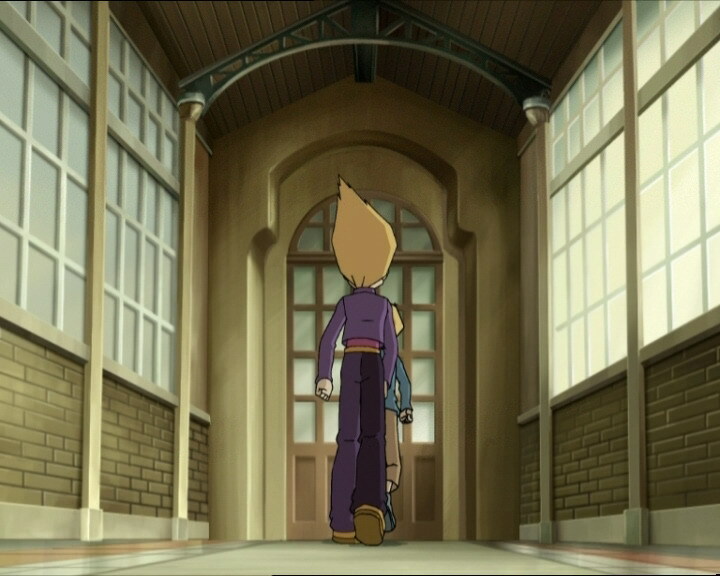 Aelita rushes to finish her test and leaves the room, leaving Ulrich to finish his; he absolutely must get a good mark! For Yumi, the situation is more delicate, because if she skips another class, she'll be expelled! William then makes a suggestion, saying she can escape through the window, and he'll cover for her absence by tricking Jim! Thanking her friend, Yumi escapes out the window in a hurry! Accompanied by Aelita, she finds Odd, wakes him, then all three head to the factory! When they arrive, the clone, still passing as Jeremy, pretends he hasn't seen XANA's creature, then tells them to go down to the scanner room. It virtualises Odd and the girls into the Mountains! No need to hide anymore, it reveals its identity. It then moves quickly to take control of the situation: Yumi and Odd start to crackle, they've been bugged! Their weapons become powerless, their virtual envelopes visible but not solid! The result, they can't do anything against the monsters, and the monsters can't do anything against them. This wouldn't be all that bad, if the Scyphozoa didn't approach Aelita with the firm intention of seizing her one last time! The situation is critical: Yumi and Odd try everything they can, but the bugs don't go away. The Scyphozoa finishes implanting the virus in Aelita. On Earth, Yumi is barricaded in the darkroom, claiming he's trying to get the best photo possible. Jim becomes frustrated, banging on the door. Jeremy climbs back up the lift shaft to the lab. The clone prepares to send him back to where he came from, without realising Ulrich was going to intervene, having just gotten out of his science test. The teen does what he can to hold back the polymorphic clone, allowing Jeremy to debug his virtual friends and send them their vehicles. Odd sacrifices himself to fight the Kankrelats that escorted the Scyphozoa, while Yumi prepares for a final pursuit of Aelita! She throws her fan… which is dodged by the XANAfied Aelita. She enters the Way Tower; Yumi mourns their loss and asks Jeremy to get ready to devirtualise them urgently. The Code XANA is entered, the Mountains start to disappear! In the lab, the clone has a sadistic smile on its face, dealing its final blows to Ulrich before disappearing at the same time the tower generating it does! Yumi and Aelita rematerialise. All seems lost! 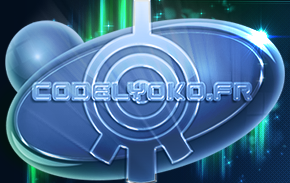 Lyoko is condemned, because the heroes can no longer access Sector 5! 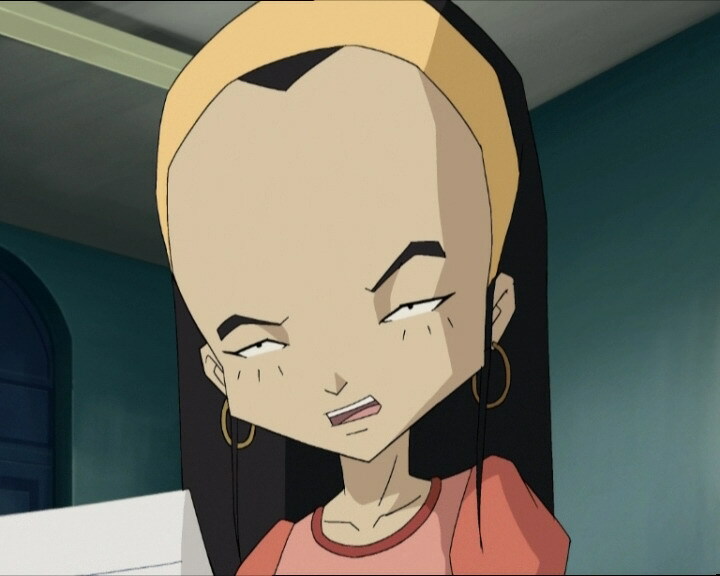 All XANA has to do now is attack the Core and destroy Lyoko for good. Suddenly a beep sounds: these are the results from the tests Jeremy launched that morning: they turned out positive! The battle can continue, in Sector 5 only this time. The question of recruiting another Lyoko Warrior comes up yet again, but this time, Yumi accepts to allow William into the group! The group watches not far away, slightly anxious, as Yumi reveals the truth about William's dreams. 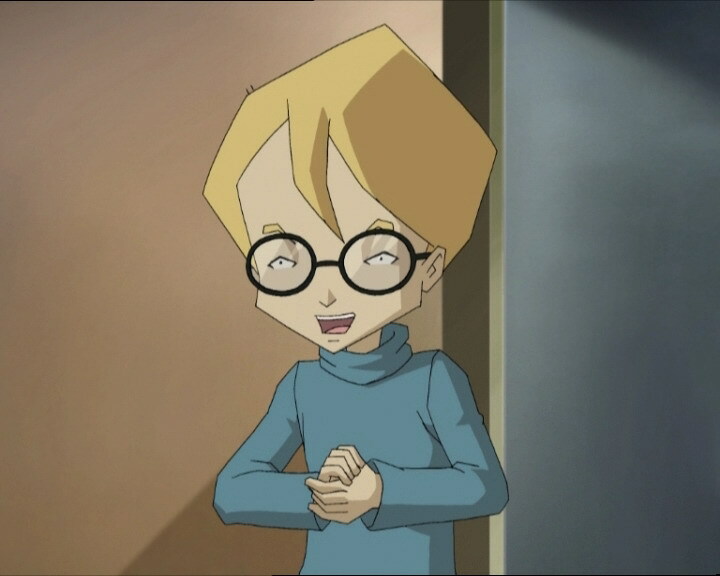 While William seems to accept Yumi's proposition of becoming a Lyoko Warrior, Odd concludes the episode by saying that with William joining them and Ulrich becoming a good student, their little group is going through some big changes! - Attack: Create a polymorphic clone to get rid of Jeremy, send Aelita to Lyoko, and leave her at the mercy of the Scyphozoa! - The Mountain Sector is destroyed by the Code XANA. - William finally becomes part of the group, at the end of the episode. - Discovery of the direct access codes to Sector 5 by Jeremy. - William often dreams of Yumi. - Jim was a war photographer and a safecracker (which he quickly corrects as “locksmith”) and teaches a class on photo developing. - Jeremy declares that until XANA is destroyed he won’t be getting a lot of sleep. - Only episode in which Herb beats Jeremy by getting a higher mark than him. - The antenna on Odd’s phone is on the left instead of the right. - Yumi has Jeremy’s phone when she receives a call from him. - How can Jeremy communicate with Yumi without the microphone? - Yumi’s outfit is inversed before she and Aelita fall towards the Digital Sea. 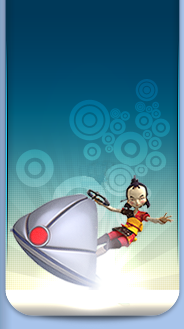 - The yellow button to activate the lift is missing when Yumi, Aelita and Odd enter it. - The factory microphone appears in Jeremy’s left ear without us seeing him pick it up, then it disappears when his friends left, then comes back when he wakes up. It changes nonstop (wired or wireless). - Christophe M’Bala’s voice isn’t the same as before. - Fourth destruction of a Sector. - The access code to the scanner room is 167. - Odd’s phone number changed, it’s now (33)655-321-258! - Yumi makes an allusion to her refusing to have William join the team in episode 59 “The Secret”. 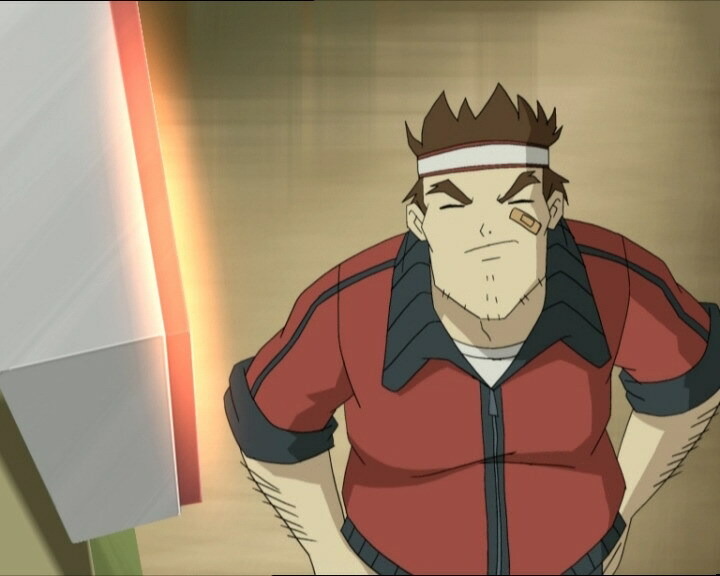 - Odd kicks a Kankrelat around like a soccer ball similar to how Ulrich does in episode 47 “Tip-Top Shape”. - The bug Yumi and Odd are affected by is similar to the one in episode 61 “Sabotage”. 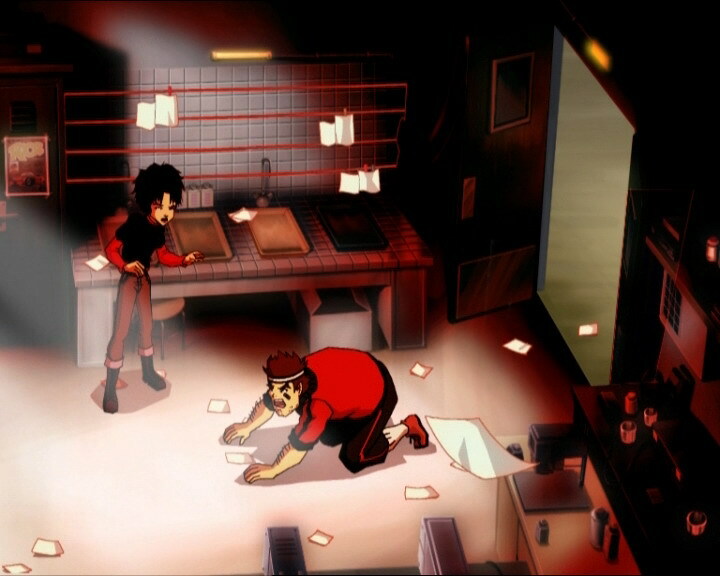 - William makes an allusion to the events in episode 59 “The Secret” when he and Yumi were attacked by a XANAfied demolition worker. - Aelita makes an allusion to when William helped them in episodes 39 “A Bad Turn”, 54 “Lyoko Minus One” and 59 “The Secret”. - Returns to the past don’t entirely erase memories! If William managed to dream about the events in episode 59, this means that memories are kept in the subconscious (or did XANA affect his memory?). Ulrich: Please let me get a good grade, please let me get a good grade! Just for once, I’m begging you, please let me get a good grade! Jeremy: You know, you might have better luck if you studied before the exam…it beats praying for them! Mr Fumet: Excellent work, Herb. I’m not surprised, either. I gave you an A- as usual, the minus to show you can always improve. Well done. Mr Fumet: Keeping with the time-honoured tradition, I ah, I’ve saved the best paper for last. Ulrich: I’m the only one left…he did just say the best, didn’t he, huh? Odd: I hate to burst your bubble, but it sounded like sarcasm! Mr Fumet: Ulrich Stern! There were so many spelling errors in this assignment that at first I thought it was written in some obscure and primitive language…but no, in fact, it was in English, unfortunately. I’ve given you an F+! The plus to give you room to do worse next time. Mr Delmas: Well I must say I’m flattered that you answered my request to come and see me. Given your constant lateness and repeated absences over these past few weeks, I’m just flabbergastered that you actually decided to show up! To what do I owe this great honour? Odd: If you ask me, XANA’s trying to wear us down! 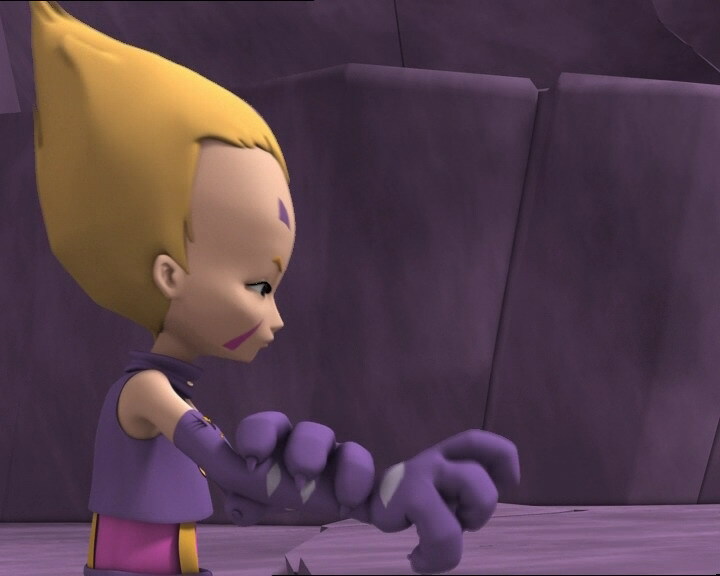 Aelita: If we could recruit one more Lyoko Warrior, it would give us some breathing room! Yumi: And who did you have in mind? Aelita: There’s William. He’s already shown us what he can do! Yumi: No way, we’ve already been over this! William’s too much of a hothead! No, he can’t be trusted! Odd: As far as I’m concerned, Aelita’s right, it’s a good idea! Jeremy: Let’s take advantage of the fact that XANA hasn’t attacked and get a good night’s sleep. I’ll stay up a little while and work on a way to virtualise you directly into Sector 5, ok guys? I’ve got some calculations to do. Aelita: That’s what you call getting some sleep, Jeremy? Odd: Hey Jeremy, what’s the answer to question number one? Clone Jeremy: Is Aelita done yet? Odd: How should I know? Ms Hertz: Odd? Would you like me to give you some help? Odd: Oh gee, thanks Ms Hertz, I sure could use a little! Odd (to Clone Jeremy):Why wouldn’t you let me copy off you this time? We wouldn’t be here now! Clone Jeremy: And if you studied like everyone else, we wouldn’t be here now. Odd: Look, A) not everyone else studies, and B) I am not like everyone else! I’m special, unique! Like you, by the way! Jeremy: Odd! It’s me, Jeremy! Odd: Hm? Today isn’t April Fool’s Day! Odd: You wouldn’t believe me if I told you. Odd: What do I do now, huh? Aah! Clone Jeremy: Nothing! There’s nothing you can do! Jim: I remember when I was a war photographer. We had to develop our prints fast, while bombs were falling! Christophe: You were a war photographer, huh Jim? Jim: Yeah! …but I’d rather not talk about it. William: You know, I had another dream about you last night. William: There was this giant computer in this huge room like a factory, you know? And then both you and I were on this bridge, fighting against this factory worker, who was doing these wild acrobatics. Yumi: You really dreamed that? William: Yeah. I’ve been having that same dream for a really long time! It’s totally weird. Then again, of course, it’s only a dream. And they’re always a little bit weird! William: I don’t know what’s going on, but you could always get out through there. William: Leave it to me, I’ll take care of Jim! Yumi: But why would you do that for me? William: Let’s just say that in my dream I really enjoyed helping you out…so, why not try it in real life? Might be just as much fun! Clone: Well what do you know? You actually survived. You’re a real swimming champ! I’m almost proud to resemble you, I really am! Clone: With the exception that I am far more powerful than you! Yumi: So what does Jeremy’s evil twin look like? Odd: Well, just like Einstein, except with muscles and superpowers! Odd: I’m just not sure. I should’ve looked him in the eye, you never know! Yumi: I’m sure it was him, aren’t you, Aelita? Yumi: Female intuition. You can trust our flair! Odd: If you say so! Odd: Ok Jeremy, bring on our vehicles, we’re raring to go over here! Clone: Sorry Odd, but I have…another plan. Such a great plan, that you guys are gonna just, flip out! Odd: We’ve been had by Jeremy’s twin! Nothing like female intuition, huh girls? Yumi: Oh no! What’s he going to do? Odd: You want a little male intuition? Something very nasty! Jim: William! Yumi! That’s it, you hear now?! Open up! William: Can’t, Jim! We’re working on the contrast! You know how important the contrast is! I mean, you know better than we do! If we open up now, we’ll lose everything! Jim: Hey Yumi! Why do you leave all the talking to William? William (really fake feminine voice): Oh, I’m right here, Jim! I guarantee you it’ll be worth waiting for! William and I are making some incredibly beautiful photographs! Odd: At this rate, there isn’t going to be any winner! Go on, knock yourselves out! Clone (to Jeremy): I take back what I said. You’re not even half as smart as me! As a matter of fact, you’re a stupid dope! (he electric shocks Jeremy) Sorry, but one of us is going to have to go! Ulrich: Right, and I think that’s gonna have to be you! Hey, I think I need glasses, ‘cause I’m seeing double! Odd: I’ve great to have my svelte body back! Yumi: There was nothing I could do! Jeremy (to Ulrich, collapsed on the floor): You ok? Jeremy: The Mountain Sector has completely disappeared. There’s no way of getting into Sector 5 now. Aelita: Now XANA can attack the Core of Lyoko at any time, and destroy it for good, and there’ll be nothing we can do against him! 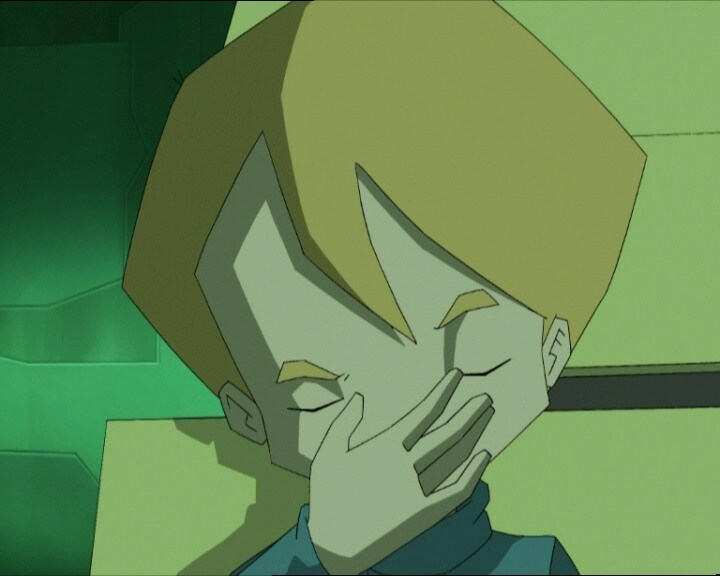 Jeremy: Lyoko is gone for good. And without it, there’s not a thing we can do to fight XANA! Jeremy: Wait a minute, these are the results of the calculations I made this morning! Jeremy: I think I may have found a way to virtualise you directly into Sector 5 at last! Ulrich: You mean the struggle against XANA goes on? Jeremy: He’s not rid of us yet! Yumi: If that’s the case, then we’re gonna need somebody else. After what’s happened, we don’t have a choice, it seems! Yumi: What? I changed my mind, so? Jim: I used to be a safecracker! …I mean a locksmith! Yumi: Here I am, Jim! That’s so uncool for our prints, we worked really hard on them! William: So then, you’re saying, my dream…really wasn’t a dream? William: It really happened? Are you sure? William: And you’re also sure that you need my help?! Aelita: You think he’ll say yes? Odd: Of course! If Yumi asked him to dive off a cliff, he’d do it in a second! Jeremy: By the way, how did your physics test go? Ulrich: Hey, it went really well! Who’d of thought that studying for a test would help? 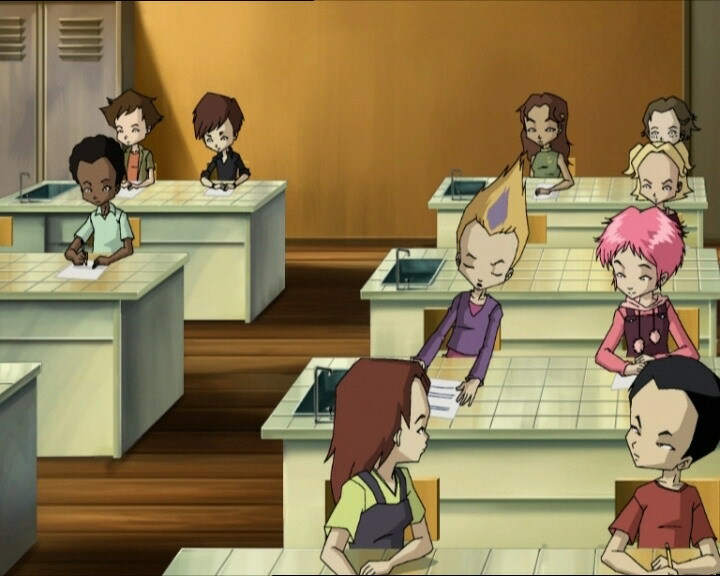 Odd: Ulrich turning into a good student for once, William turning into a Lyoko Warrior…our little group is going through a lot of pretty huge changes!